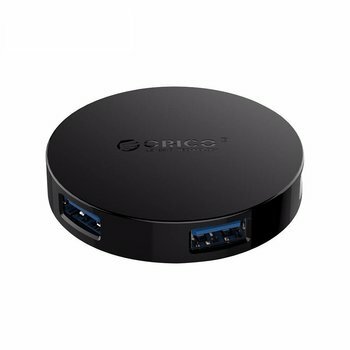 Connect this elegant Orico hub to a type-A port on your laptop or desktop and create additional USB3.0 type-A ports. This allows you to connect more peripherals. Has the OTG function. 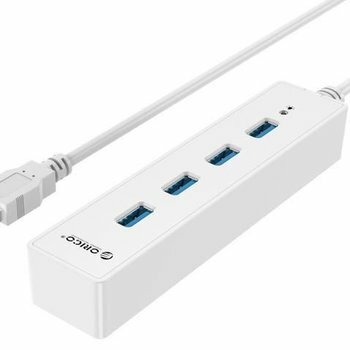 Stylish white hub with four USB 3.0 Type-A ports for connecting all your peripherals. Features a VIA chip and handy LED indicator. 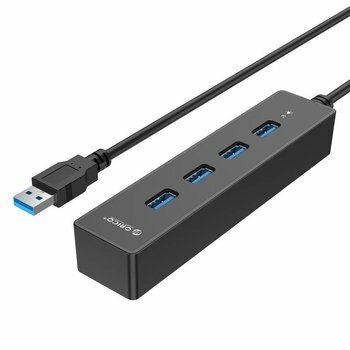 Stylish matte black hub with four USB 3.0 Type-A ports for connecting all your peripherals. Features a VIA chip and handy LED indicator. 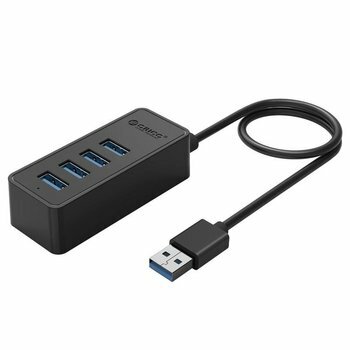 Create four additional type-A connections for your laptop or desktop with this stylish USB3.0 hub. 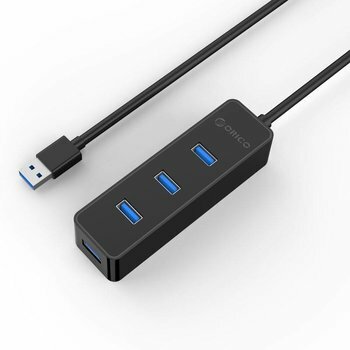 Easily connect your peripherals and enjoy a transfer speed of up to 5Gbps! 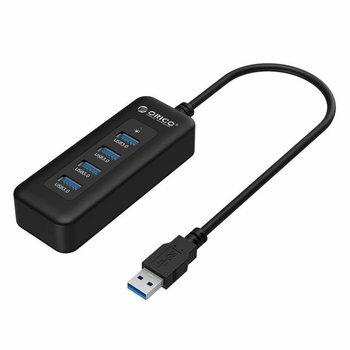 This robust 4 port USB 3.0 hub makes 1 USB port 4 USB 3.0 ports with a beautiful, sleek, modern and elegant design. Modern hub with which you can create 4 USB3.0 Type-A ports. 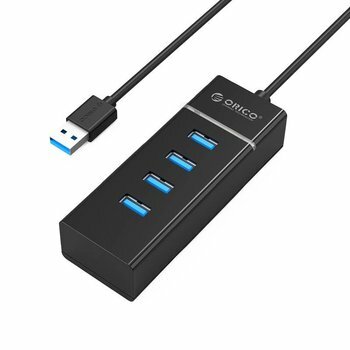 Very handy for connecting additional peripherals. Features a VIA chip and USB 3.0 technology for optimal performance and a transfer speed of up to 5Gbps. 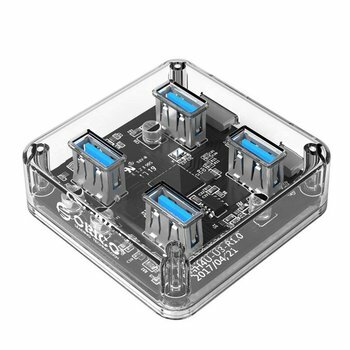 Would you like to create more USB 3.0 SuperSpeed Type-A ports to be able to connect more peripherals? 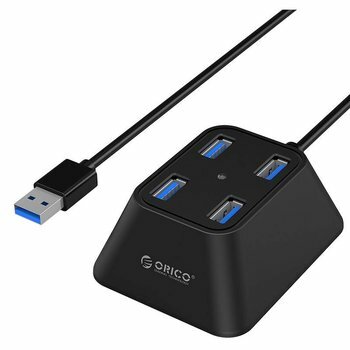 Then this portable USB 3.0 hub from Orico is the product you need. Includes OTG function, LED indicator and two data cables. 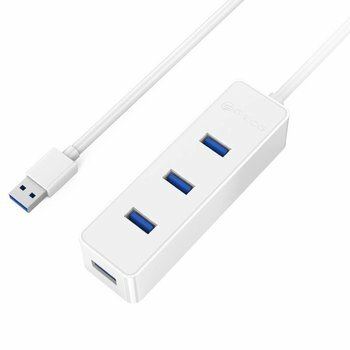 Easily and quickly create four USB3.0 type-A connections for all your peripherals. The hub is equipped with a compact size and an extra long data cable of 1 meter for ease of use. Modern matte black hub with 4 USB3.0 ports. Easily connect peripherals and enjoy transfer speeds of up to 5Gbps. 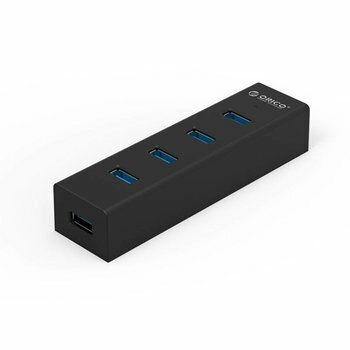 Create additional USB 3.0 Type-A ports through this stylish mini USB 3.0 hub. Achieve transfer rates up to 5Gbps. Includes LED indicator and built-in cable of 20 centimeters.